Richard Master founded MCS Industries, Inc in 1980 when he officially changed the name of his family's businesses from Easton Box Company to MCS Industries, Inc. Easton Box Company was initially founded by Richard's father Harry in 1948 as a manufacturer of rigid paper boxes for the apparel industry in Eastern Pennsylvania. Richard purchased the company after his father's death in 1973. In 1980 Richard decided to venture into the framing industry and in 1981 MCS manufactured their first picture frame. 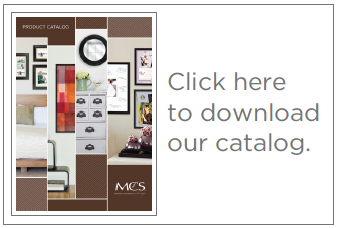 Since then, MCS has become the leading supplier of wall and poster frames and also a top supplier of tabletop frames, photo albums, scrapbooks, mirrors and collectibles.